Freba, 43, is the mother of two boys and three girls and she lives in Mazar-e-Sharif. Mazar-e-Sharif– I know little about women’s rights in Afghanistan because I am illiterate and I do not watch TV a lot. As much as I know is that women are supposed to be allowed to educate themselves, although I am not an educated woman. 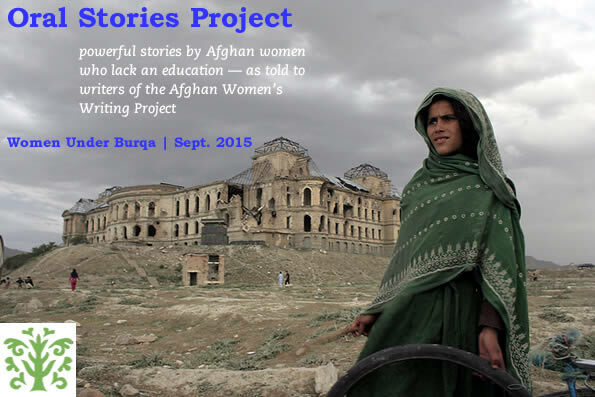 War, devastation, and the bad situation of Afghanistan prevented me from going to school. I am like a blind person, blind to all the beautiful writing and poems and even the Holy Qur’an. I am also not allowed to go alone outside the house. I go with one of my sons and I wear a burqa outside the house. Afghan women have no right to work outside the house. It is believed that they should be at home and kitchen all the time. It is believed that Afghan women are dedicated to the house and to the house chores. In truth it should not be like that. Women do have rights but they lack these rights here in Afghanistan. Men have literally taken away the rights from their wives and sisters in their houses. I did not have the right to choose my life partner. I once had a dream to become knowledgeable and educated. Women have the right not to be beaten, not to be killed by their husbands. I have a request for the Afghan government to let people, especially Afghan women, who have been beaten for years, hear their voices and not be tortured anymore.